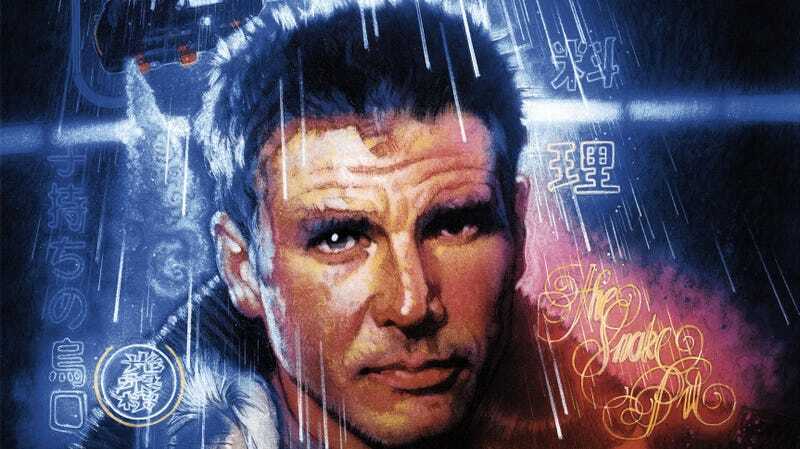 Who paints Harrison Ford better than Drew Struzan? Now, over a decade after that and almost four decades since it was first conceived, you can finally own a limited edition print of Struzan’s work for Blade Runner. The Bottleneck Gallery has teamed with Struzan, Justin Ishmael, and the Roxy Theater to release the poster in a timed edition from now through Sunday, January 20 at 11:59 p.m. EST. It’s a 24 x 36 inch, 15-color screenprint, so it’s not cheap ($135 unsigned, $185 if you want Struzan to sign it)—but if you love Blade Runner or Struzan, how can you not spring for this one? The poster is available at this link. It was also available in a version without the title, but it has already sold out. For some more details, Struzan tells the story of the poster in his own words on his website. I began working on this piece of art way back in 1982 when I was commissioned by the Studio to explore concepts for the poster. I did one color comprehensive originally and from that made a few alterations as requested by the Studio. In the end, they did not use my design so I never painted the finished illustration. In 2001, when Ridley Scott was thinking of releasing a new director’s version of the film, I was asked if my original sketch from ‘82 could be used on the cover. It turned out that this was Ridley’s favorite artwork for his film. I went through the usual artist angst, rather than use a comprehensive for the cover, better to use finished art and if I’m going to paint the finish should it be the 20-year-old design or should it be updated. I decided on the latter. The DVD was produced at long last and this is now the cover (2007). A DVD cover you can own now in the best possible version, that is. Here’s that link again. Let's Replicate Some Blogs, Shall We?